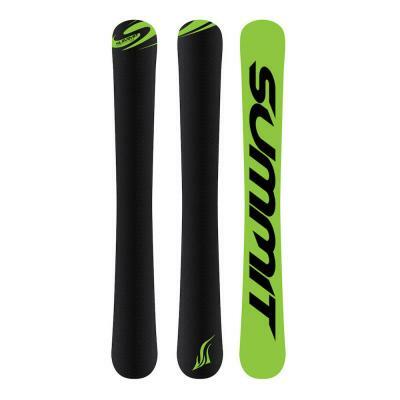 Summit Carbon Pro 110 cm Skiboards GR are high performance skiboards, true all mountain skiboards for all terrain and conditions. Summit Carbon Pro 110 cm Skiboards GR are made for fun. “High performance is what Summit Skiboards is all about. These Carbon Pros are true all mountain skiboards, comfortable anywhere and in any conditions.” — Doc Roberts, President, Summit Skiboards, Inc. 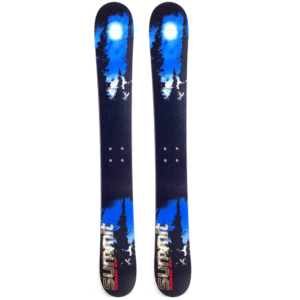 The Summit Carbon Pro 110 cm Skiboards GR cm features fast die cut sintered bases (for speed and glide), aggressive beveled edges (for grip), twin tip high energy wood core and a carbon fiber top sheet (for sheer fun enhancing stability at speed as well as being slightly stiffer than the custom 110). These babies are truly ready to rip. As with all Summit Skiboards, these are handcrafted and designed with one goal in mind — to take the sport of skiboarding to a new level of performance. Be prepared to push the limits of what you thought was possible on skiboards, once again. The Carbon fiber top sheet adds extra durability, enhanced stability in edging and higher energy performance. And, it sure looks great, especially in the sunlight. You may want to just hang these on the wall instead (and love them every morning)! One unique thing about the Summit Carbon Pro 110 cm Skiboards GR is that they accommodate a full range of binding options, including the Atomic L10 or FFG 12 Release bindings, Atomic AT bindings or our Technine Custom Pro DS Snowboard Bindings. In addition, you can mount your own ski bindings, telemark bindings or snowboard bindings using our Snowboard Binding Adaptor Kit. A special aluminum layer (does not inhibit flex) is installed beneath the top sheet for greater retention of mounted release bindings as well as providing enhanced edge grip. In addition, the 110 features 4 stainless steel inserts to easily accept non-release and any snowboard bindings. For backcountry enthusiasts, the Summit Carbon Pro 110 cm Skiboards GR are the perfect ascent skis – providing an ease in climbing, so light you hardly notice them on your feet, combined with the perfect design for ripping your line down the slopes. 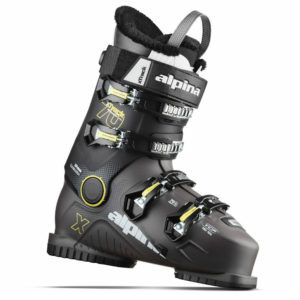 The wide body platform allows you to blast those deep powder stashes with ease, offering awesome floatation. These work great with AT bindings with two position climbing. These symmetrical twin tips were designed for ease of riding whether forwards or backwards or just spinning down the mountain and making yourself dizzy! No mass produced skiboards can compare to the smooth ride of these Carbon Pro 110 skiboards, no matter what you choose to do on the slopes. Great for: all mountain riding, backcountry, pipes and parks, glades and crusing the groomers in style. Tuning: We recommend getting your bases hot waxed before riding. 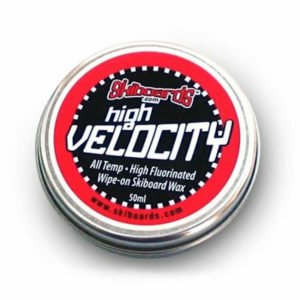 You can choose our Add a Hot Wax Service and receive your skiboards waxed and ready to ride. 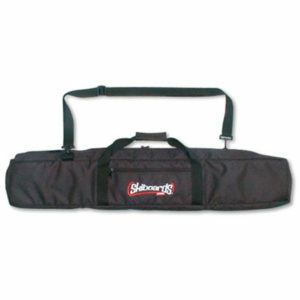 You can also choose to do it yourself with our Skiboards.com Quick Mini Tune kit. Base color is Fluorescent DayGlo and reflects off the snow. Base color may vary between green/black or black/green. One unique thing about the Carbon Pro 110 skiboards is that they accommodate a full range of binding options, including the Atomic Release bindings, AT bindings, telemark bindings or even snowboard bindings — like the Technine Custom Pro DS Snowboard Bindings. A special aluminum layer (does not inhibit flex) is installed beneath the top sheet for greater retention of mounted release bindings as well as providing enhanced edge grip. In addition, the CP 99 features 4 stainless steel inserts to easily accept non-release and any snowboard bindings. Non-Release Bindings: The Carbon Pro 110 can be mounted with non-release bindings that fit the standard 40mmX40mm insert pattern. Beveled Sidewalls: to further protect the top sheet. Edge bevel – 1 degree base and side bevel of 89 degrees: great for carving with ease. These aggressive edges are just right for ice, and lay it over carving.